I love mixing contrasting colors and mixing contrasting patterns. What's great about this outfit is that I'm able to do both in one outfit. The orange and white striped sweater and blue and white polka dotted pants create a fun, vibrant outfit that doesn't easily go unnoticed. My striped sweater is from Target. 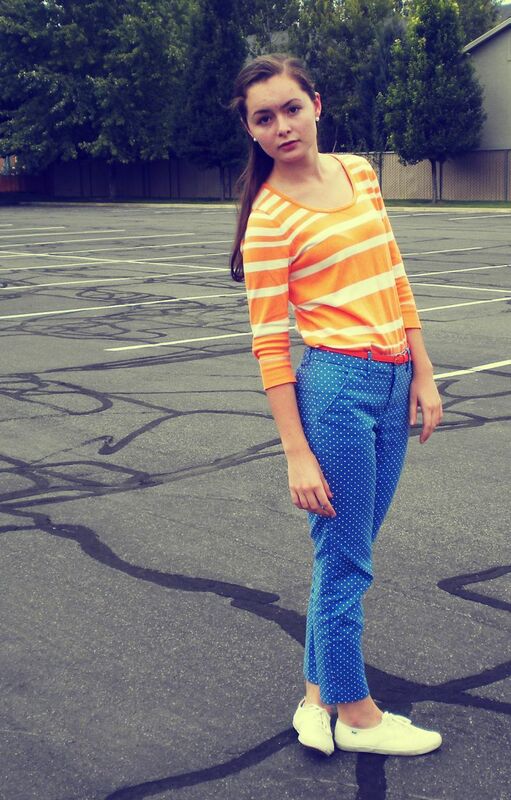 My polka dot pants are from Target as well. My white sneakers are Keds.